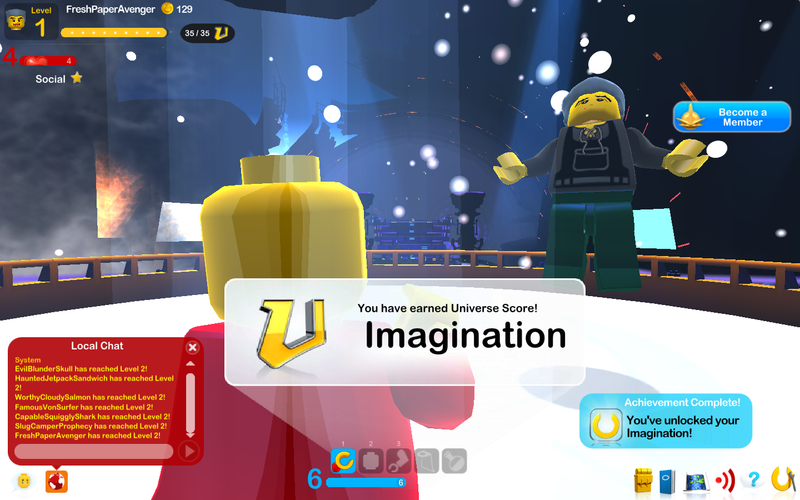 Lego Universe; I ran out of imagination! Disclosure; this is by no means intended to be an analysis of Lego Universe – that would not be fair at all. It is simply a reflection on my first experience with this MUVE. I’m not a Gamer, I never have been, and I doubt that I ever will become one. 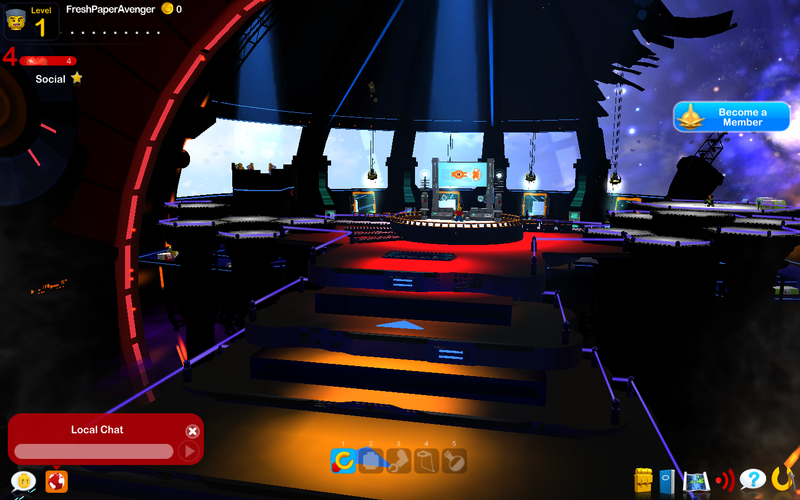 Nonetheless, I do try to keep an eye on what colleagues are doing in the gaming sector, and yesterday I had the opportunity to try out Lego Universe in relation to the 2011 Virtual Worlds Graduate UnSymposium (VWGUS). 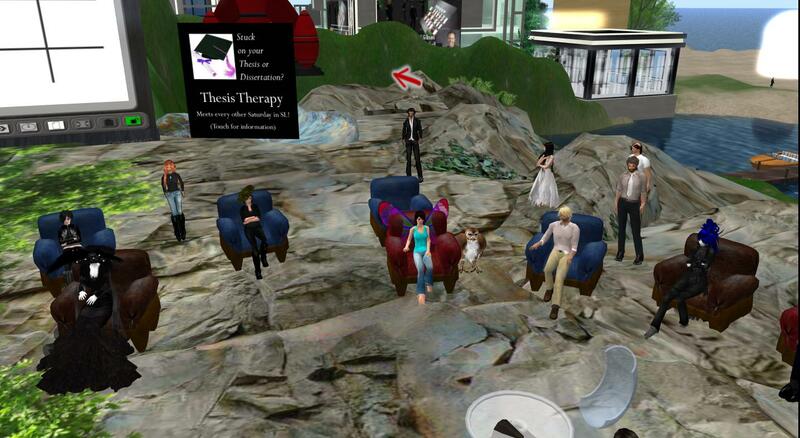 The Virtual Worlds Graduate UnSymposium’s blog. The VWGUS is organized by a team of dedicated educators who have a special interest in using different kinds of MUVEs like MMORPGs and Virtual Worlds. This year’s symposium ran for two days, and I joined in for the session about Lego Universe conducted by Knowclue Kidd. Knowclue’s wiki – Marianne Malmstrom’s bio. I don’t know Knowclue personally, but I’ve heard of her work and seen her at the Virtual Worlds Best Practice in Education conference. Participants at the VWGUS2011 in the ARVEL CAVE area. Knowclue Kidd talking about her work with LegoU. Even though I didn’t know the first thing about Lego Universe, I was definitely smitten by Knowlue’s enthusiasm; you could easily tell that she’s a dedicated teacher! While Knowclue was talking about her work, we were encouraged to create accounts, download clients, and log in to the game. So, as I understood it, the gameplay is that inside the Lego Galaxy some sort of evil force is tearing through the galaxy and breaking everything. 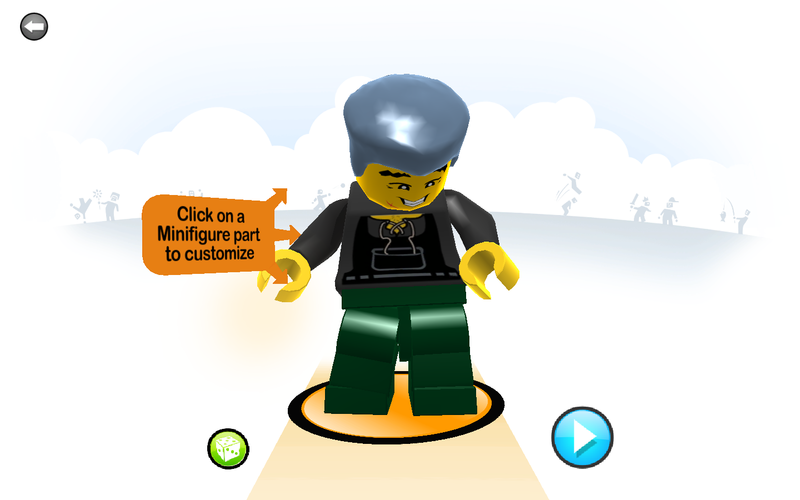 It’s the player’s job to join Nexus Force and save the universe, and the first stop is to build a Lego brick rocket that will enable you to leave the starting point and join the other players in groups and quests. Download in progress – using my favorite name. Initially, I was very happy to see that I could use my regular online name – for me this really is my first point of identification. Ok, so in this universe, I’d be a small brick figure. No worries, from playing around with my alts in SL I’m used to experimenting with different appearances. Also, if we had not been pressed on time, there seemed to be plenty of possibilities to customize the look. But then the next step was to choose a new name!? Why, what was up with that? How was I to find the other players (avatars from SL), hmmm …. Reluctantly I accepted a new name, and the game could begin. First impression of the universe – kids can handle a lot more information than you would expect. 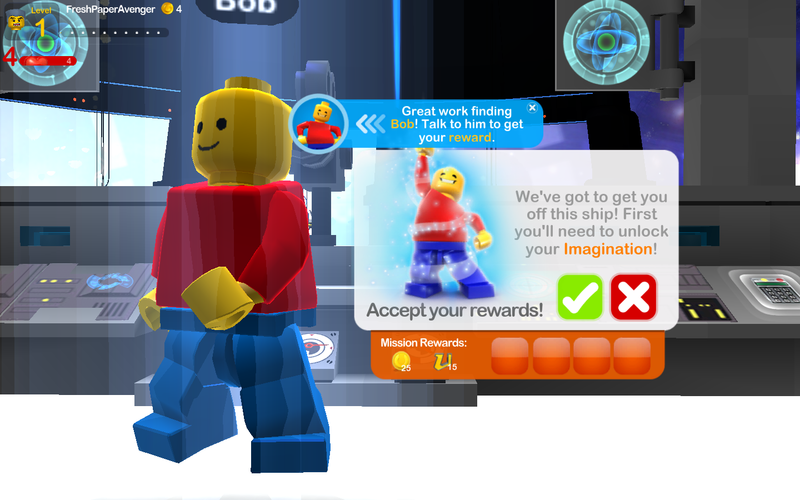 Talking to “Bob” – apparently my first mission was to unlock my imagination. First mission complete – so far, so good. According to Bob, the next mission was to find Sky Lane, who could teach me how to build a rocket that I would need to leave this place and join the others in the Nexus Force. Again, I looked at the other characters, and I did spot Mrs. Lane, but I simply couldn’t figure out how to get to her. I went back to Bob, but he was not very helpful … and so I gave up. Anyways, it was time to leave the game and go back to SL to finish the session. 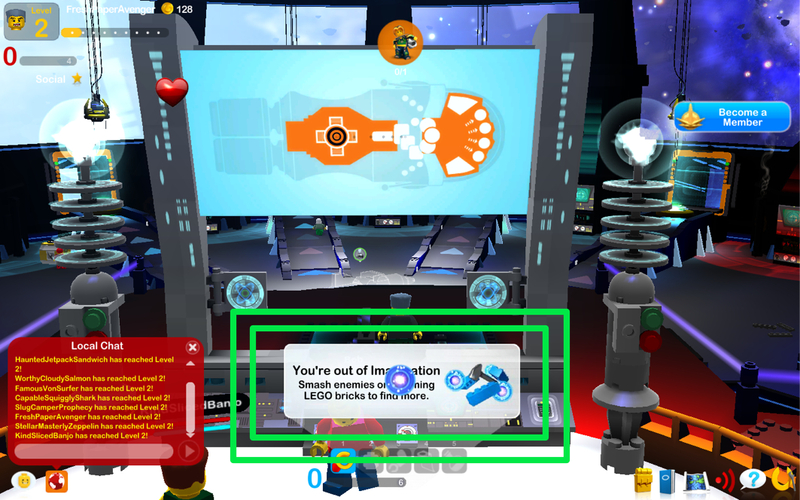 Evidently, I had spent a little too much time in the Lego Universe, because the in-world session was ending, and I decided not to participate in the next session that was about Quest Atlantis. One game was enough for me in one day. So, what’s the takeaway from this experience? Well, if nothing else, I learned about my own shortcomings and habits/expectations when it comes to MUVEs. It should be noted that I only spent about 20 min. in the Lego Universe, so my reservations are not targeted against this particular environment. Yet, having been in SL since 2007, I’ve become accustomed to some in-world/in-game features that proved to be very important for my initial (and perhaps overall) experience. First of all, there is the name-thing. 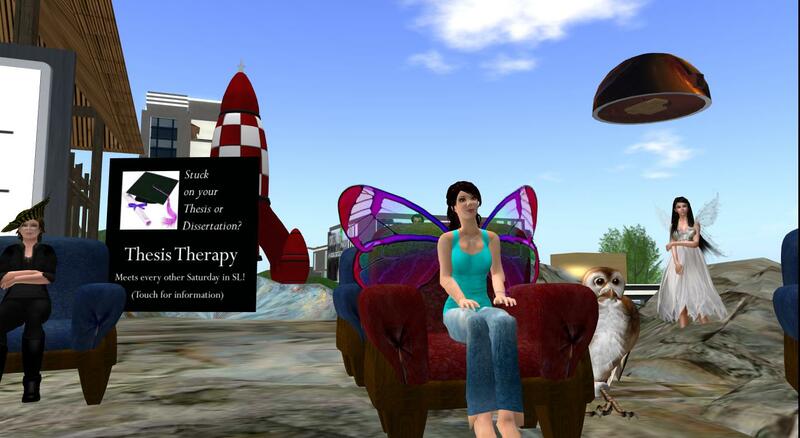 When I entered SL, I could choose at least my first name almost freely (provided someone else hadn’t already taken it), which gave me the opportunity to use my regular handle and that way establish the first connection/identification with my avatar. 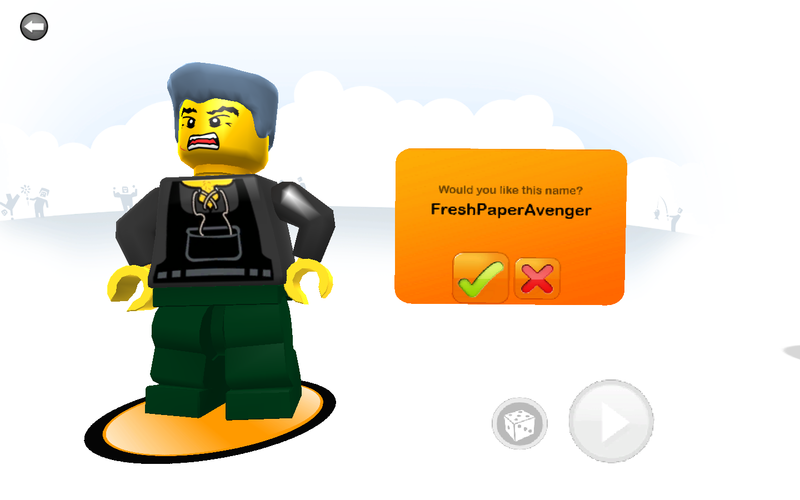 Entering a (Lego) universe, where “my” name had absolutely no reference to me, seemed like a setback. However, I suspect that in the case of Lego this has to do with issues of security, a way of protecting the youngsters for whom this game is intended. In time, I’m sure the players learn to identify with their new names.